UPDATE: Transcendental Studies is the winner of the 2009 National Book Award in Poetry. Transcendental Studies is a 2009 National Book Award finalist in poetry. This compelling selection of recent work by the renowned poet and translator Keith Waldrop brings together three related poem sequences—“Shipwreck in Haven,” “Falling in Love through a Description,” and “The Plummet of Vitruvius”—in a virtuosic poetic triptych. A longtime admirer of such artists as the French poet Raymond Queneau and the American painter Robert Motherwell, Waldrop uses collage to give lines new meanings within new contexts. 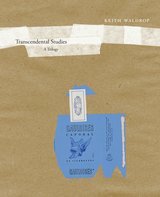 These powerful poems, at once metaphysical and personal, reconcile Waldrop’s romantic tendencies with formal experimentation, uniting poetry and philosophy and revealing him as a transcendentalist for the new millennium. Long a major force in American avant-garde poetics, Keith Waldrop has published more than a dozen books of poetry and has translated the work of Baudelaire, Anne-Marie Albiach, and Edmond Jabès, among others. 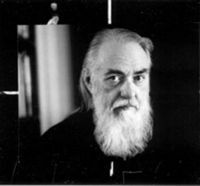 His first poetry collection, A Windmill Near Calvary, was a finalist for the National Book Award in 1969. In 2000, he was honored by the French government as a Chevalier de l’Ordre des Arts et des Lettres for his lifetime contribution to French literature. Waldrop is currently Brooke Russell Astor Professor of Humanities at Brown University and lives in Providence, Rhode Island. Keith and his wife, Rosmarie Waldrop, also a poet and translator, founded Burning Deck Press in 1968. Transcendental Studies is volume 27 in UC Press’s acclaimed New California Poetry series, edited by Robert Hass, Calvin Bedient, Brenda Hillman, and Forrest Gander. Listen to Keith Waldrop read from his poetry and translations at PennSound. For a complete list of awards won in 2009, visit our Awards page.